"@thebroadmuseum, one of the most eagerly anticipated private contemporary art museums in the United States, opens in Los Angeles on September 20. 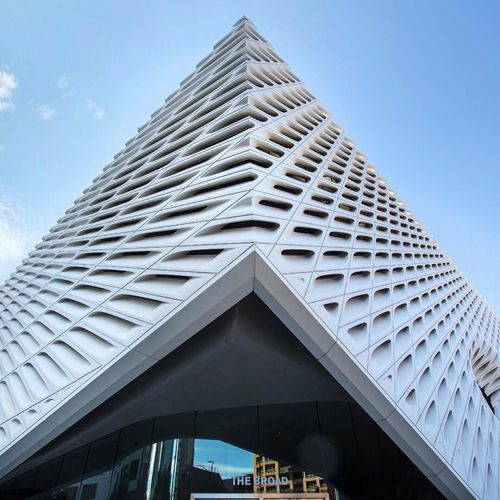 The Broad, as it is known, will house a collection of about 2,000 works owned by the philanthropists and billionaires Eli and Edythe Broad, who have helped shape the cultural identity of Los Angeles. Among the artists featured in the inaugural display at @thebroadmuseum: Jasper Johns, Robert Rauschenberg, Cy Twombly and Andy Warhol, as well as two favorites of the Broads, Roy Lichtenstein and Jeff Koons. @malmeidapix photographed @thebroadmuseum on #nytassignment." By nytimes on Instagram.